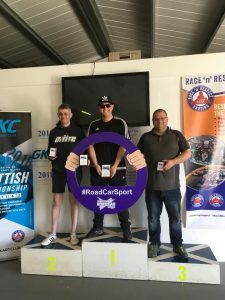 The inaugural season of the Scottish Road Car Series has so far seen 4 rounds, 4 different venues, 3 different winners and 42 registered competitors. All things considered, it’s been a strong start for the series and we’re excited to see it grow and develop further over the second half of the season. Before that, we thought we’d take a breath and reflect on the season so far! We reported on rounds 1 & 2 in our last news piece but to recap, these events which were held at Ardeer and Knockhill respectively and were won by Bob Mather in his Renault Clio and Steven McConnell in his BMW 328. Round 3 saw the series travel North to Boyndie kart track in Banff. 63 Car Club laid out a challenging series of tests around the 850-metre-long circuit, which proved to be really popular with the drivers. Steven McConnell continued his form with another win but he was closely followed by series newcomer, John McLeod in his Audi TT. Aaron Smillie rounded out the top 3 in his nimble Suzuki Ignis and John Macleod took the honours for driver of the day, thanks to his impressive debut performance. 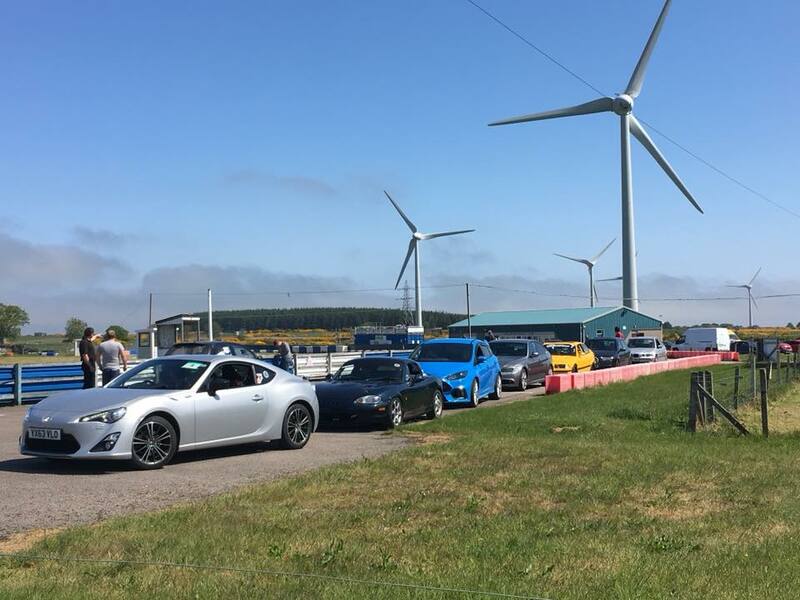 Round 4 was hosted by Saltire Rally Club and saw the series visit Errol Airfield in Perthshire. Where the previous 2 rounds at Knockhill and Boyndie had presented the competitors with some fairly fast and flowing challenges, the Errol venue provided a contrasting challenge with really tight and technical sections that required precision and patience from the drivers. 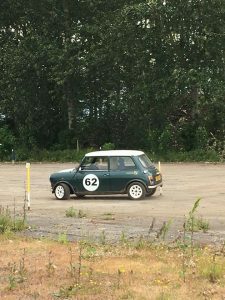 The competition was tight at the front but it was a triumph for the classics as Alasdair Tannock took a popular win in his trusty Racing Green Mini. He was closely followed by Ryan Gardiner in his Mazda Mx5 and John McLeod again made it onto the podium in 3rd. Lauren Austen Maycock was voted driver of the day thanks to another sterling effort in her Mazda Mx3, which she religiously drives all the way from Fraserburgh to compete in SRCS events. The competition was equally hard fought throughout the whole field however, with some skilful driving displayed by all the drivers to keep the cars – mostly – pointing in the right direction on the low grip surface. Notably, Douglas McDougall displayed some excellent driving to keep his potent Porsche Cayman under control and likewise, newcomer, David Aitken, put in a consistent performance in his first ever event to finish 8th in his Fiesta ST. Ian Buchanan ensured there was a good show put on for onlookers, as he flung his BMW 316 around in dramatic fashion to take a fine 5th place. Unfortunately, round 5, which was due to be held at Kames, had to be cancelled; unexpected commitments on the day of the event meant that East Ayrshire Car Club were unable to resource the event adequately and the difficult decision was therefore taken to cancel the event. However, five events still remain on the calendar and so there is still plenty of time for newcomers to get involved in the action and even mount a championship challenge (remember only the top 5 results across the year count towards competitor’s overall championship points haul!). At the half way point, Steven McConnell leads the series with 40 points but Aaron Smillie is snapping on his heels with 34 points, with Bob Mather and Ryan Gardiner in hot pursuit on 32 points each. Round 6 at Leuchars air base, in Fife, is looking to be a great event and will most likely be the fastest on the calendar. It will also be running in parallel with the super car ‘race the run way’ challenge, so there should be plenty of action both in and out of the car for competitors!